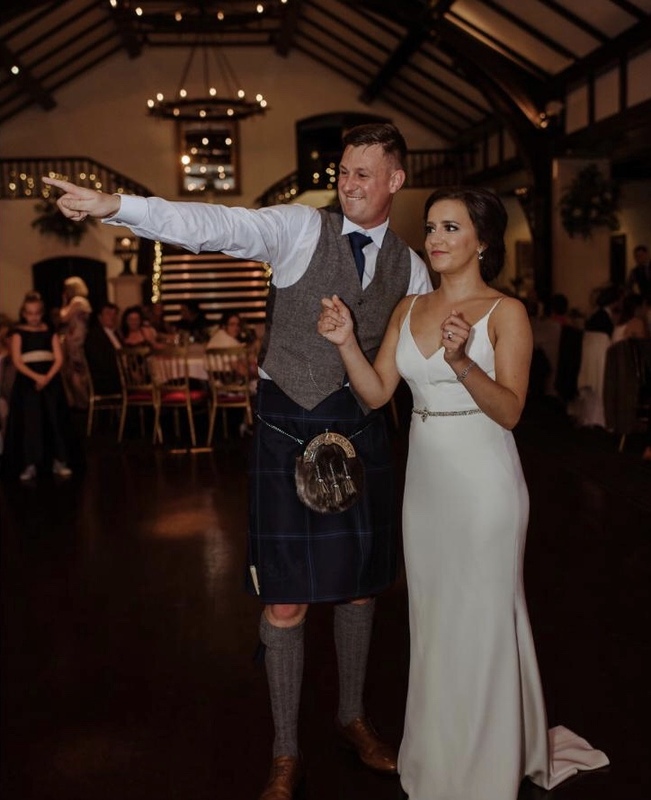 Our featured bride today is someone very special to the entire AP team not to mention the many AP brides that Clare assisted in finding their very own dream dress! 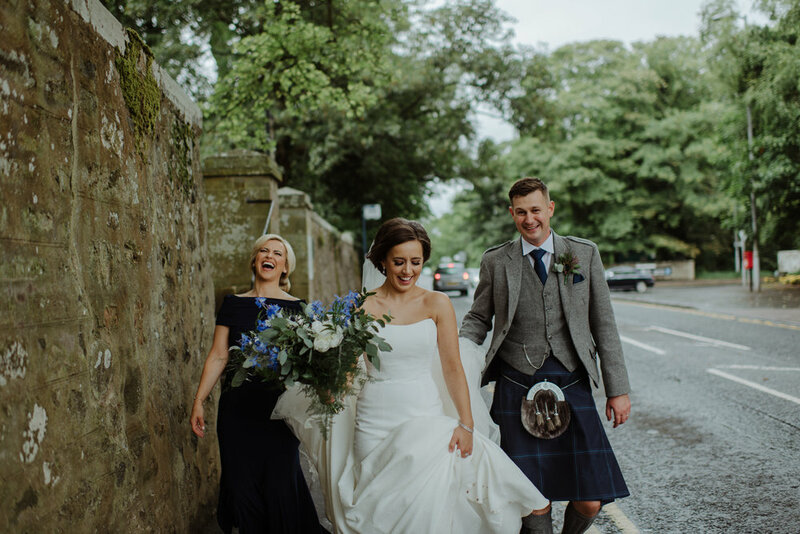 So sit back, relax and read all about this incredible AP family wedding, featuring the beautiful Scottish countryside, 2 amazing Sassi Holford gowns and the truly fabulous singing servers. 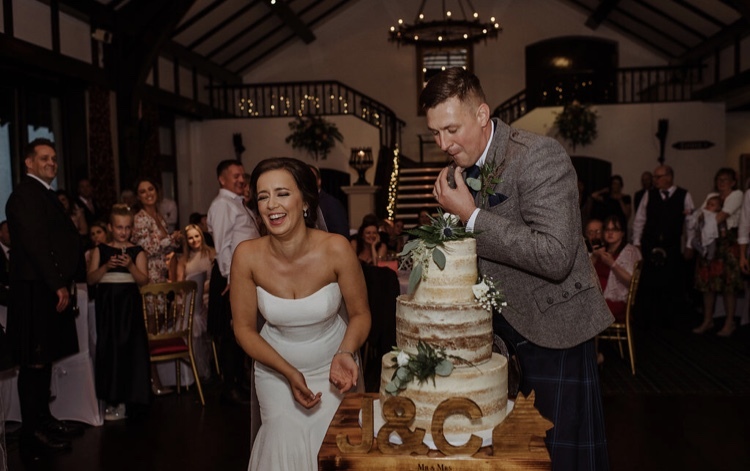 Your wedding was extremely special for everyone at Anne Priscilla, as an AP stylist and future sister in law to AP Style Director did you feel any added pressure finding the one? 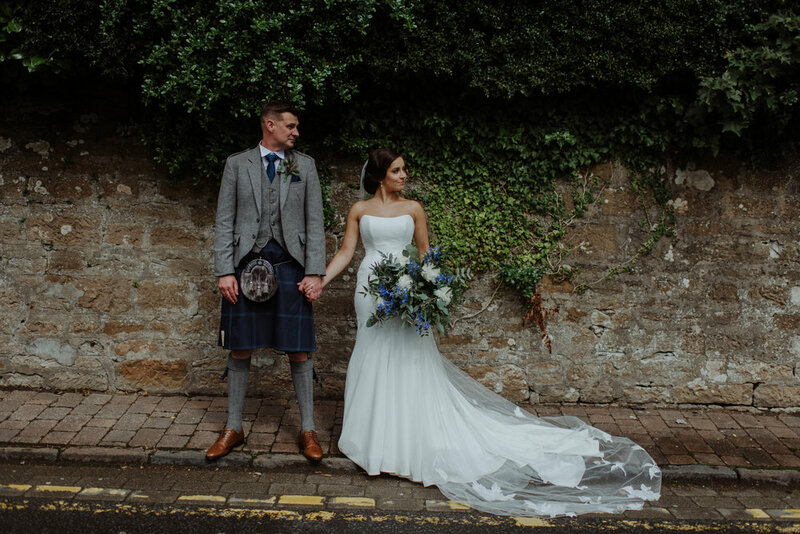 Despite the emotional connection, I trusted Karen’s honesty, knowledge and styling experience to help me find ‘the one’. Like any bride should, I put my faith and trust in the hands of the experts to help me come to my decision. I was fortunate to have the designer of my dress, Sassi Holford, styling me during my appointment. 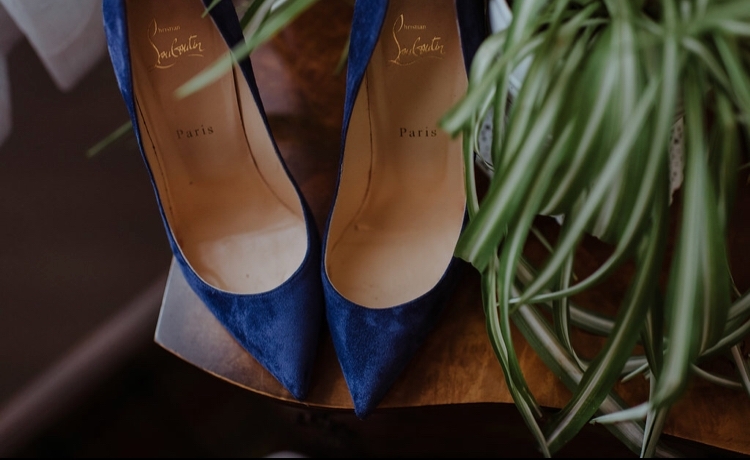 Both Sassi and Karen seemed to know exactly what I was thinking before I even voiced it and made sure we tried on a range of dresses and styles before narrowing it down to my dress. I felt relaxed and knew that they understood my vision completely. 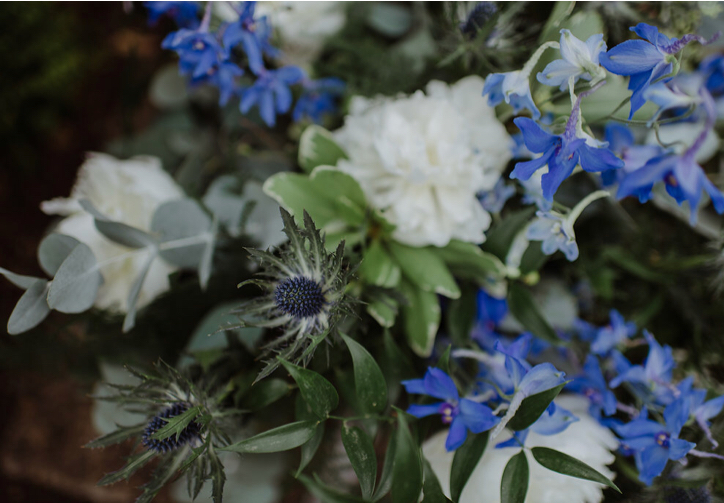 During your time as a stylist at AP you were part of so many brides’ weddings and being in the store so many times you never got to experience the excitement of having your first bridal appointment; do you feel you missed that special part of your journey? Definitely not! If anything, I was more excited. I had unique insight into the style of dresses I wanted to try on and having led so many first appointments for other brides and sharing their emotional experiences, I couldn’t wait for my turn! At Anne Priscilla, every bride brings their own personality and aspiration of how they want to look, which leads to every appointment, including my own, being a special and unique experience. Describe your bridal style in 3 words? I chose ‘Astrid’ by Sassi Holford and the ‘Sienna’ slip by Sassi Holford for the evening reception (a dress that allowed me to dance the night away, feeling comfortable yet elegant). Who did you take shopping and who was the biggest influence? I brought my mum, my maid of honour and my three bridesmaids with me, who were all incredibly supportive and a great source of advice! I have to say my biggest influence was my future sister-in-law Karen. 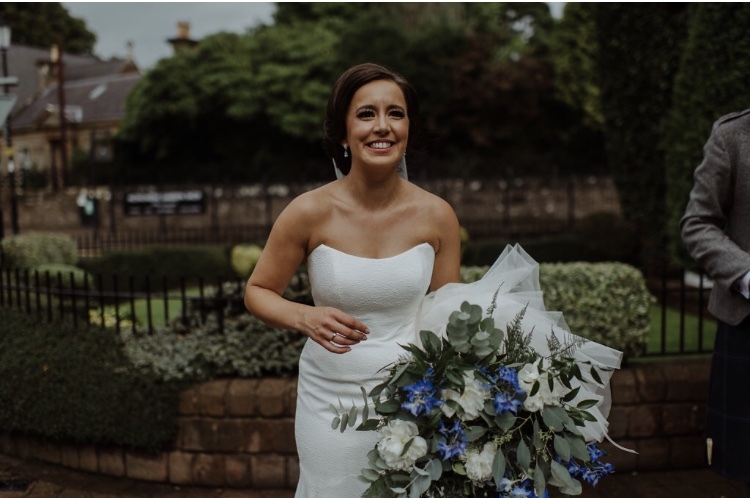 I hold so much respect for Karen’s knowledge of bridal fashion and the bridal experience and moreover, Karen completely understood my vision and I knew I could count on her honesty about my decision. Was your partner surprised by your choice? He genuinely didn’t know what to expect but had a feeling I would wear a lace dress – which I didn’t. After seeing me in my dress he now can’t imagine me wearing anything else. What is the best advice you can give brides to be before they start trying on dresses? That what you choose to wear on your wedding day is the biggest statement of self-expression you will ever make. You want to look the best, but still be you. Keep this in mind before you select your dresses. We all want to try on every style and shape available, or try on styles to please other people, but at the end of the day,YOU are wearing this dress for the most important day of your life and you should focus on selecting what is right for you. It was an intimate and romantic proposal at our home. We were about to attend a celebration for a family member who was leaving the country, when James surprised me with candles and champagne, going down on one knee as our favourite song played in the background. 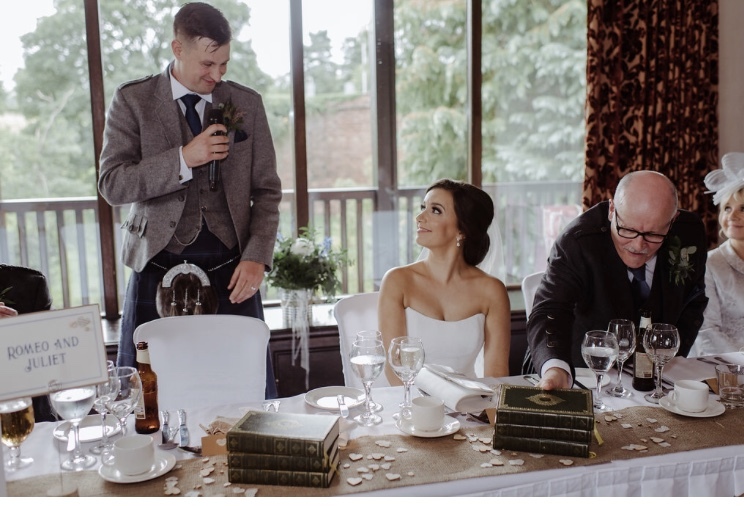 The best surprise was that James had attached a note in a small locket on our dog’s collar, which asked the all-important question – will you marry daddy? How did he choose the ring? James was fortunate enough to have an opportunity to travel to Donn’s the Jewellers in Manchester to look at rings. As soon as he saw the ring, there was no doubt that it was the one. He chose the first ring he saw, even after having several other rings presented to him. I think he knew the style of ring I loved and was fortunate to find a ring that suited both of our tastes. I genuinely admire so much about James: his work ethic, his ability to speak to and relate to anyone he comes across, and his humour. But I think most of all, I admire James’ loyalty and love for his family and friends. He always puts those he loves first and would do anything to help or support them. 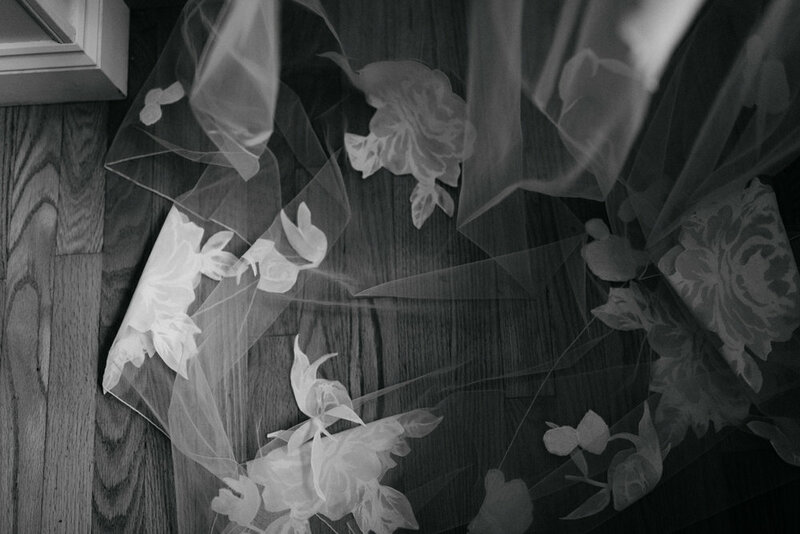 Your wedding day is comprised of so many special moments, can you tell us about your top three moments? I think getting ready with my bridal party has to be one of my top moments. The morning felt so relaxed and intimate with lots of bubbles, laughs and tears all round. What made it even more special was my future sister-in-law coming over to dress me for the ceremony. I will never forget what she said to me before she left: ‘When you walk down that aisle, you will realise that it is exactly where you are supposed to be”. Those words were what gave me the lift I needed to battle through any nerves and I will cherish them for the rest of my life…. The ceremony itself was also a top moment for me. 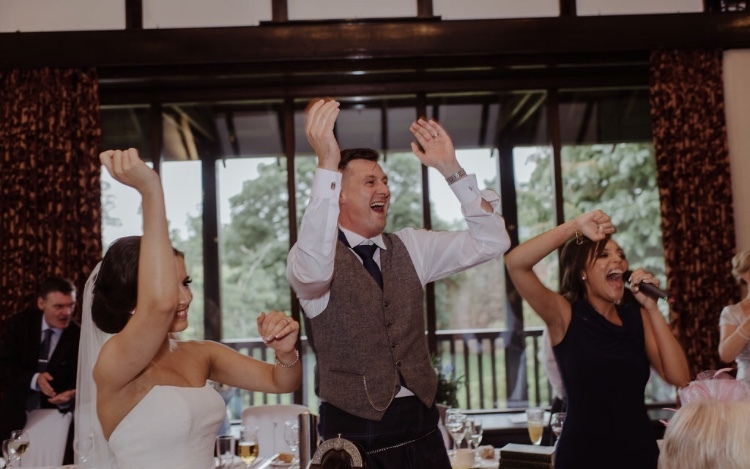 A close friend played me down the aisle to Coldplay’s ‘Shiver’ on the piano – a song that means a lot to both James and I. Any nerves I had disappeared as soon as I reached James at the bottom of the aisle. It felt surreal, yet the happiest moment of my life to marry the man I love in front of all of our friends and family. We had my Uncle perform the ceremony, which added a truly personal touch to the day. My final top moment has to be my best friend and bridesmaid surprising us with a special performance during the dessert course of the meal, as part of the ‘Singing Servers’. Usually at the dessert, there is often a ‘lull’ as everyone is full and ready for a nap! 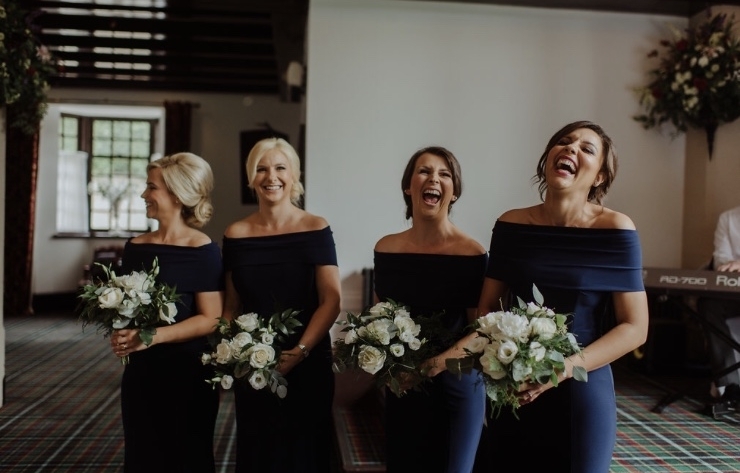 Heather kept everything a surprise and suddenly started singing – shortly joined by the rest of the ‘Singing Servers’ crew, all disguised as waiting staff. They sang three songs and had everyone on their feet, singing and dancing. It was a special moment and really set the tone for the rest of the night to come. 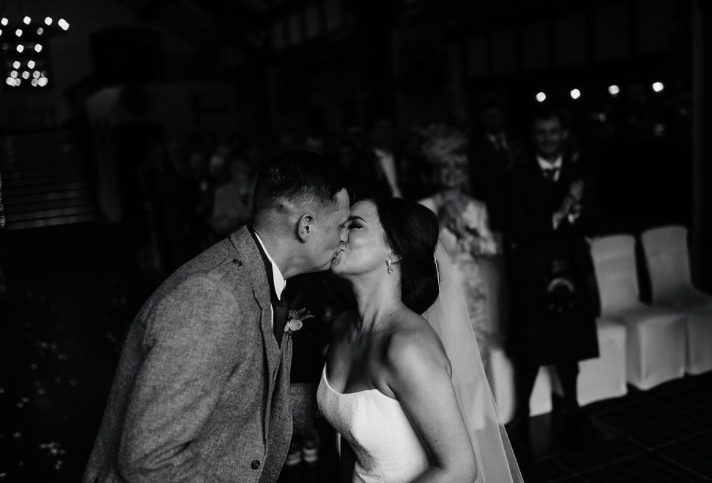 What was your first dance as Mr and Mrs? 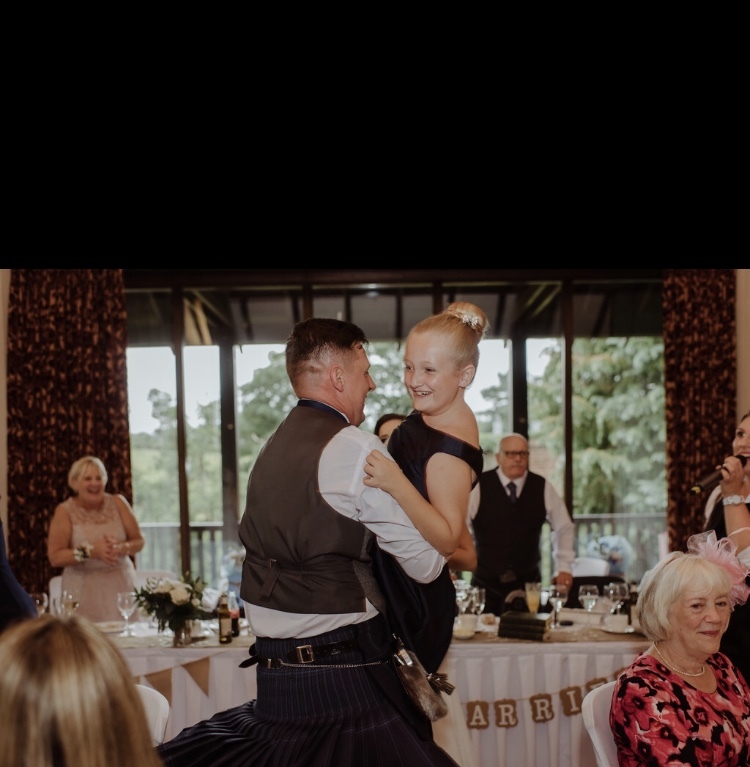 Our first dance was to ‘I Still Remember’ by Bloc Party. When we met and worked together 12 years ago, this song was always playing and we both felt its words and its message captured everything we felt about each other. No matter what card we have given each other over the years – birthday, Valentine’s, Christmas – we have always written the first line of the song in it: “I still remember how you looked that afternoon, there was only you”. It is a great feeling to feel like we have truly become a family together. It sounds a cliché but I am ecstatic to become a part of his family and after 12 years together, it feels like we are beginning our next adventure. That couples who laugh together, stay together! 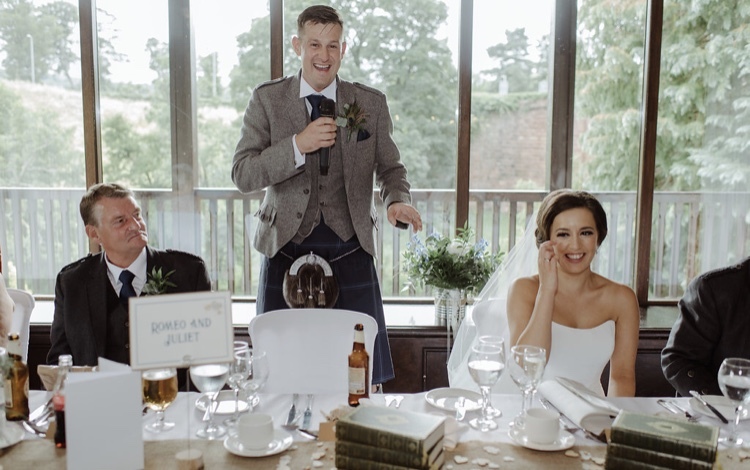 The groom wore – Midnight Thistle Kilt from Kilts4u. 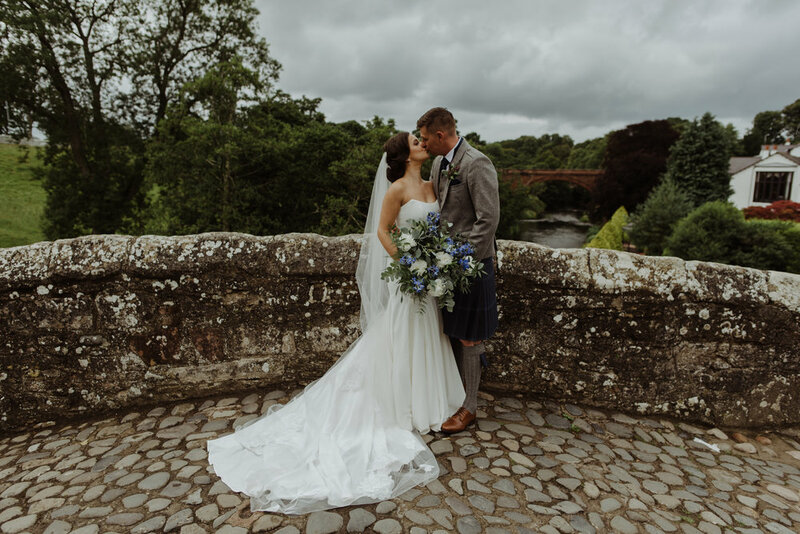 Venue – Brig o’ Doon House Hotel.